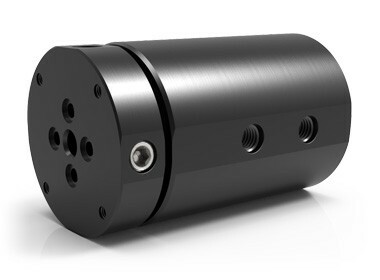 The 4-passage, SE Series rotary unions are designed for appications with high pressures and limited space requirements. They feature SAE housing connections and shaft O-ring face seal glands for flush mounting the union to an interface (the threaded shaft connections are plugged). For more information, see SE Series 4-Passage Rotary Unions.